Propane tanks can freeze up while in use. Usually it is a sign the regulator is feeding the propane too quickly, or there is a high level of humidity. It may be alarming to notice the tank is freezing up, but it is not dangerous. However, it can leave you without propane until the tank is unfrozen. 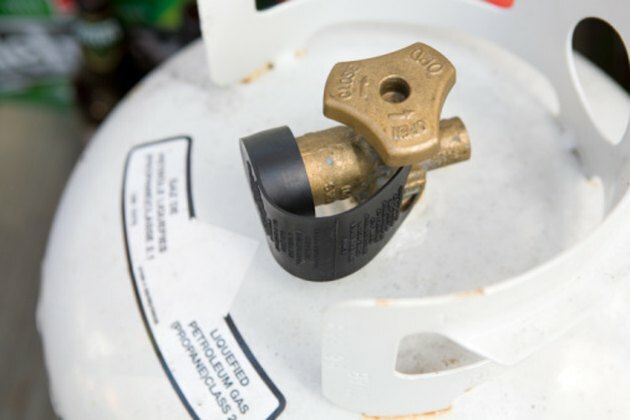 A few precautionary steps can prevent your propane tank from freezing up. 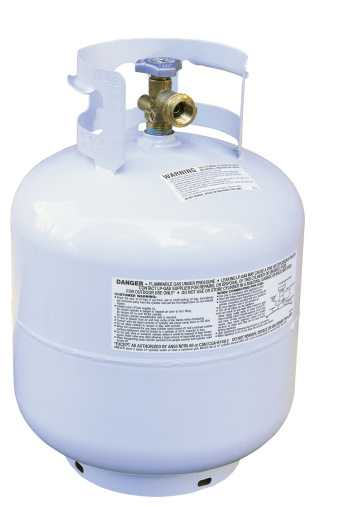 All propane tanks are subject to freezing, regardless of tank size. Wrap the propane tank with the electric blanket. Do not wrap around the regulator or the valve, make sure they stay exposed. Secure the electric blanket to the propane tank with duct tape. Try to cover the entire tank with the blanket. Plug in the electric blanket and set it to medium temperature. Open up the regulator valve slowly, and not more than you need to. Leaving the regulator valve completely open makes it more subject to freezing. If you need more gas pressure, connect more than one gas tank together to spread the pressure. Remove the electric blanket when the propane tank is not in use.